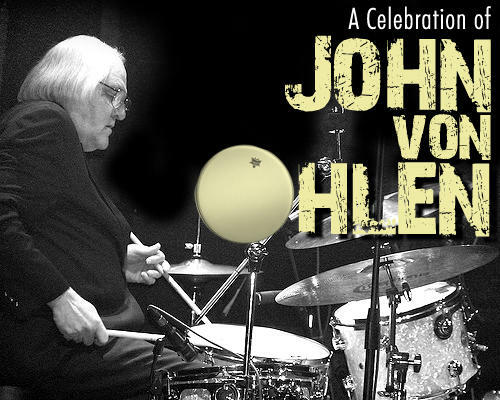 Musicians came into the studio that day to honor legendary drummer John Von Ohlen who has played with many jazz greats including Stan Kenton, Woody Herman, Cal Collins, Rosemary Clooney, Tony Bennett, and Perry Como. He's also recorded albums with many other greats like Carmen McRae, Keith Jarrett, Kenny Poole, John Clayton, Mel Torme & the Marty Paich Orchestra, and Benny Carter. John Von Ohlen was inducted into the CEA 2005 Hall of Fame. 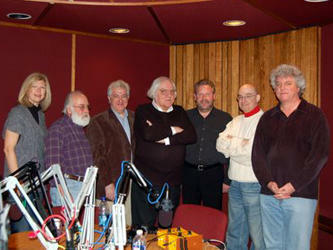 Musicians who came into the studio for the roundtable discussion with John Von Ohlen were Jeff Hamilton, Steve Schmidt, Lee Stolar, Carmon DeLeone, and Bob Nave. Robyn Carey-Allgeyer was the moderator. Jeff Hamilton is a drummer who is currently on tour with Diana Krall and will be appearing at Fraze Pavilion on July 7th. Pianist Steve Schmidt plays with Mr. Von Ohlen in the Blue Wisp Big Band. Lee Stolar performs with him at Chez Nora. 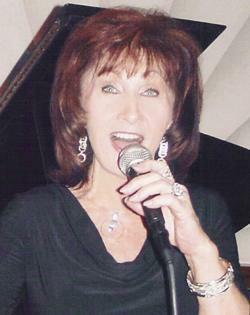 Carmon DeLeone is a well-known musician/conductor who has known John for many years. Bob Nave is a musician, currently in a couple of blues band, and a jazz producer who has also admired John Von Ohlen's work for years. During the one-hour special, the group touches on the art of drumming. Jeff Hamilton talks about taking lessons from John Von Ohlen in Indianapolis, Philly Jone Jones, and working with George Clooney on the movie, "Good Night, and Good Luck." Carmon DeLeone asks John and Jeff about the nature of drum solos. Steve Schmidt shares some of his experiences playing with John Von Ohlen in the trio and the Blue Wisp Big Band. Jeff and Steve also talk about John's piano playing. John Von Ohlen talks about drummer Mel Lewis, bassist Lynn Seaton, and his current gigs. There's also a funny story about Steve Schmidt and "Auld Lang Syne," plus a detailed description of his drum equipment. A Celebration of John Von Ohlen was produced and hosted by Lee Hay for 91.7 WVXU with techical assistance from Chelsea VandeDrink. Local jazz vocalist Lynne Scott talks about her new CD with the Rob Allgeyer Trio, Lovely Songs Today…the Standards of Tomorrow, as well as some of her favorite jazz singers and standards during a chat with our Ron Esposito. As a 501(c)(3) not-for-profit organization, the Cincinnati Contemporary Jazz Orchestra partners with many of the best arts organizations in the region, including two-year partnerships with both the Constella Festival of Music and Fine Arts and the University of Cincinnati College-Conservatory of Music.